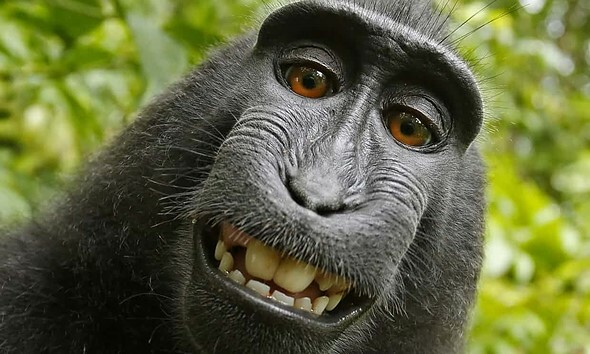 PETA’s “monkey selfie” copyright lawsuit has finally, finally reached a satisfying ending. On Monday, a three-judge panel with the Ninth Circuit Court of Appeals ruled that only humans can pursue copyright infringement claims, upholding a lower court’s decision after a judge refused to let PETA settle its way out of this likely conclusion. Affirming the district court’s dismissal of claims brought by a monkey, the panel held that the animal had constitutional standing but lacked statutory standing to claim copyright infringement of photographs known as the “MonkeySelfies.” … The panel held that the monkey lacked statutory standing because the Copyright Act does not expressly authorize animals to file copyright infringement suits. The ruling follows the Ninth Circuit’s decision earlier this month to reject PETA’s settlement dismissal request. PETA had argued that the macaque named Naruto, not camera owner David Slater, owned the copyright because it took the image itself. Courts had expressed skepticism about PETA’s argument, also questioning whether the organization had a suitable relationship with the monkey to sue on its behalf. The ruling doesn’t impact PETA’s settlement with Slater, which requires the photographer to donate 25% of future revenue from the image to charities that protect crested macaques in Indonesia.